Chet is a Certified Iyengar Yoga Teacher and has been practicing yoga for over 15 years. He teaches three to four yoga classes per week. Going to yoga class once or twice a week is a the best way to start a yoga practice. A good yoga teacher will offer guidance and instruction, most likely better than you can find online or on a yoga DVD. Though there is no substitute for direct and personal instruction, if you want to deepen and further your yoga practice, in addition to going to yoga class, you need to start practicing at home. Here is a gradual approach to beginning a home practice. The first day is less than a minute, but it will signify a commitment on your part. The best time to practice yoga at home is first thing in the morning, either before or after a shower, but definitely before breakfast. If you want to have a cup of coffee first, that’s OK. If you wait until the end of the day it’s too easy to make excuses and skip a day. Do your yoga in the morning! Following are a series of sequences with yoga poses for beginners. Intermediate yoga students can add poses as they see fit. The sequences of yoga poses gradually increase from 30 seconds to 30 minutes worth of yoga to begin your day. Are you up to the 30 day yoga challenge? Set your alarm one minute early. That’s all you need for the first day, but it shows you are ready to begin a home yoga practice. Stand with your feet together. Draw your knees up, lift your chest and take your shoulder bones back, but don’t let them hunch up. Bring your head back in line with your spine, and see that your lower ribs aren’t jutting forward. If viewed from the side, your ankles, hips, shoulders and ears should all be in line. Lengthen your arms, hands and fingers. Hold for thirty seconds. Stand in Tadasana. Slowly take your arms overhead without changing any other part of the pose. Your triceps, which are the back of your upper arms when your arms are hanging by your side, should wrap in toward your face. Hold for several relaxed breaths, then exhale your arms back to your side. For days two through six, the sequence takes from one up to five minutes. You can add a minute each day or jump right to five minutes worth of yoga for the morning. This is similar to what is commonly called child’s pose. Sit back on your heels with your big toes touching and knees apart. Walk your arms forward and fold deeply at the hips until your forehead touches the floor. Take your sit bones toward your heels and your chest toward your head so that the front body is long. With your hands shoulder width apart, press your palms into the floor and wrap the underside of your upper arms toward your face. From downward facing hero, come onto your hands and knees. Bring your feet hip width apart, tuck your toes under and lift your hips high while straightening your legs. Reestablish the arm actions from the previous pose; press your thighs back to draw your waist long. Hold for up to a minute. Walk your feet forward from downward dog, but keep your hands touching the floor, if possible. You can step your feet as wide as your yoga mat for your first uttanasana of the morning. If your hands don’t reach the floor, you can use blocks so the hands are supported. Draw your knees up, and lift your shoulders away from the floor; let your head hang. Repeat the above four poses from one to four times. Optional yoga vacation day! You are allowed to take off one day per week. Three of the basic standing poses are added to extend the sequence up to ten minutes. Increase repetitions of the standing poses as the week progresses. Stand with your feet wide apart, 4 ½ - 5 feet. With your left foot turned slightly in, turn your right leg straight out to the right. With your arms extended, exhale your torso to the right, folding deeply at the hip joint. Rest your right hand on a yoga block or your right leg. Keep your upper body turned toward the wall in front of you. After several breaths, inhale up to standing. Repeat triangle pose to the other side. From tadasana, take the feet apart and turn your legs as in triangle pose. With an exhalation, bend the right knee and extend the upper body to the right. Place your right hand on a block or the floor adjacent to the outside of your right foot. Extend your left arm overhead in line with your left leg. As in triangle, turn the upper body forward. After several breaths, inhale up to standing. Repeat to the left side. Warrior two starts like extended sideways angle. When you bend the right knee, keep the upper body vertical. 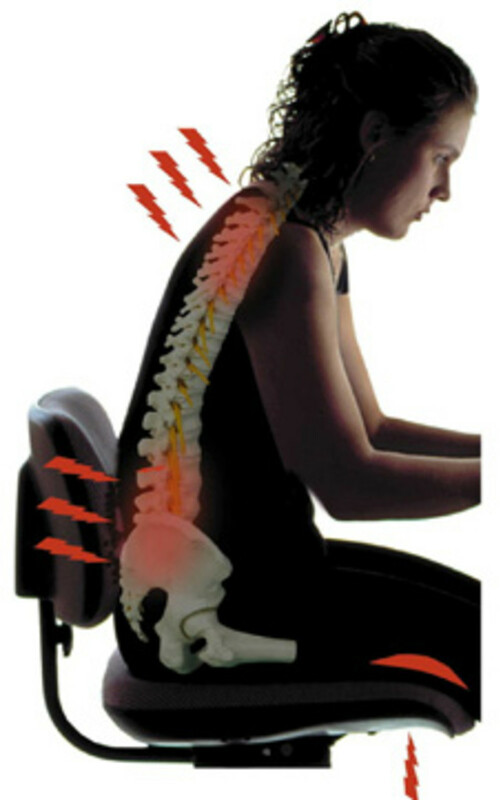 Resist the tendency of the pelvis to tilt forward. Look beyond the right hand, but stretch back through the left arm. Hold and repeat as with the previous two poses. Repeat the above three poses (triangle, sideways angle, warrior two) one or two times. Do you need a yoga vacation day? This is your day off for the week. Two more standing poses are added. Increase repetitions to extend the sequence gradually up to 20 minutes. If you like, add a brief savasana at the end of the sequence. Lie on your back with your legs extended and your feet together. Bend your right knee into your chest and hook a yoga strap around your foot. Extend that leg up, straightening your knee. Hold the yoga strap with your right hand or, if that is uncomfortable, with both hands. Keep the thigh muscles of both legs engaged; resist the tendency of the left leg to pop up off the floor. After several breaths, lower the right leg and switch to the left side. Work toward increasing the time you hold this pose. An overview of the primary styles of yoga. Step your feet four to five feet apart. Turn your left foot in 45 - 60 degrees and your right leg all the way to the right. Revolve your hips and chest to the right. Bend your forward knee as you press into the back foot. Take both arms straight forward and over head. Draw your navel back to help keep your pelvis vertical. After a few relaxed breaths, lower your arms and turn to face forward. Repeat to the other side. From tadasana, move into triangle pose. Bend your right knee and step your left foot halfway toward your right. Slide your right hand to the right 1 - 1-1/2 feet. Lift your left leg until it is parallel with the floor and draw your right leg straight. Your right hand should be directly under your shoulder (it can be supported by a yoga block). Resist the tendency of the right foot to turn inward. Reverse the steps as you come out of the pose, then repeat to the other side. Repeat the above five (triangle through half moon pose) poses one or two times. Sit with your knees together and your hips just between your feet, which should be pointing straight back. Put a folded blanket or block under your hips as needed. If you have knee pain, sit higher or tuck a folded washcloth behind your knee. The upper body should be absolutely straight. Stay for one or two minutes. Take a day off, you've earned it! A simple sun salutation and a couple of additional poses are added. Repeat the sun salutation and add savasana at the end of the sequence if you like. This sequence takes 25 - 30 minutes. Repeat the above five poses (triangle through half moon pose). Sun salutations are a flowing sequence of poses. There are several variations; if you have your own favorite, feel free to use it. Start in tadasana. Inhale your arms overhead to urdhva hastasana, then exhale all the way forward to uttanasana. Step or jump back to adho mukha svanasana. Come forward into upward facing dog (see photo), and keep your shoulders rolling back. Exhale back to adho mukha svanasana, step forward to uttanasana, inhale all the way up into urdhva hastasana and exhale your arms down to tadasana. Sun salutations can be done quickly or slowly with two or three breaths in each pose. Add one repetition each day. Step your feet five feet apart. Exhale halfway forward, and place your hands on the floor. Walk your hands back, taking your head toward the floor. Rest the crown of your head on a block, yoga blanket or the floor. Lift your shoulders away from the floor and draw your lower abdomen in. Reverse to process to come out of the pose. Sit with your legs straight in front of you and your upper body vertical, shoulder back. If your pelvis tilts back, add a blanket or two under your hips. Most beginners will want this extra height. Press your thighs toward the floor; press your hands into the floor to lift your chest. From dandasana, take your knees out to the side and bring the soles of your feet together. Lengthen your inner thighs and press them toward the floor. Hold your ankles or feet without collapsing your chest. If you like, take the day off. Only two more days to go! A chest opening, partial inversion is added at the end of the sequence, along with savasana, to make this a 30 minute sequence. This is a variation of setu bandha, bridge pose. Lie on your back with your knees bent, feet in close to the hips, but hip width apart. With your arms extended on the floor by your sides, turn your palms up and place your heels on your hands (or use a strap as shown). Turn your upper arms and shoulders out, then exhale your hips up high. Get on top of your shoulders and take your chest toward your chin. Release after several breaths, then repeat. Lie flat on your back, legs extended and arms alongside, palms up. Leave a little space between the upper arms and the side chest. Let the legs and feet release. Completely relax your body. Relax your face, and direct all of your senses inward. Let your breath become soft and gentle. Stay from one to three minutes. To come out of savasana, roll to your right. After a few breaths, sit up slowly. These sequences can take more or less time than indicated depending on how long you hold each pose. Over time, work toward holding the poses longer. The final sequence could potentially take an hour or so. For an early morning sequence, you may choose to hold each pose for just a breath or two. Now that you’ve completed the 30 day yoga challenge, see if you can keep your home practice going five or six days a week. Note: All photos by the author unless otherwise noted and may not be reused without permission. Chrysalis - thank you! I hope it works for you! I am glad it is working for you! Thanks for commenting! Thank you so much Chet! I just completed my first week and appreciate how you broke down the month to make creating a daily practice easy and fun. I've also been journaling every day so that I am held accountable. So far I love your sequences and am inspired and grateful to have finally found a way to incorporate an asana practice into my daily life. Thanks for your comments Robert! 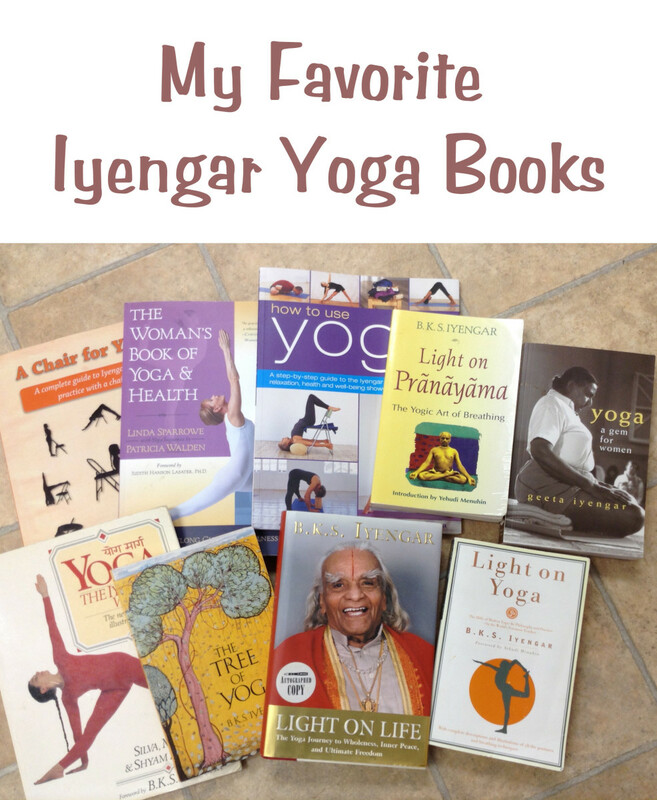 I have been doing Iyengar yoga for a year now and I love it. I was going 3 times a week but since my job changed last November can't go as often anymore. I have been trying to find the time to do it at home. I do a few poses a few times a week. I love your article. Now after reading this I am going to take the 30 day yoga challenge. I really want to start doing it at home every day. It has really helped me with my back, my neck, and my hips. When I don't do it I am in a lot pain. I want to thank my wife for signing me up and getting me started again especially Iyengar yoga it's the best. 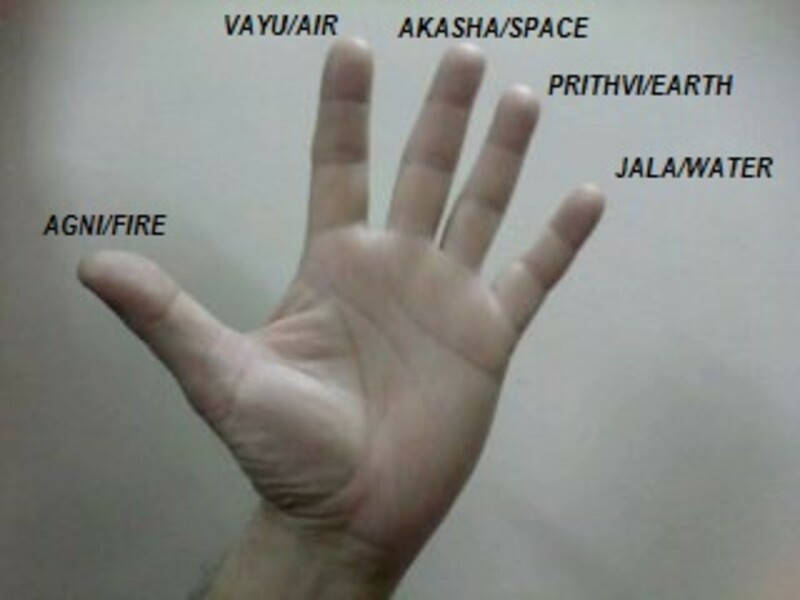 Suryanamaskara are no in sequence. Why? Otherwise it's very good. Margaret - I hope it does! Thanks! Thanks for sharing this! I think it will help me get back into yoga. DollyGohel - thanks for reading and commenting! Good! Give it a try and good things will happen. I think Iam going to give this a try.. I've always wanted to try yoga. tomorrow morning will be a new day..
Is there a way to print the article? Maggie, I hope it goes well for you! Stick with it and good things will happen. Hi adeela - yes, there is yoga for every body. Take your time; there is no rush getting through these poses. Any time your hands cannot reach the floor, you can use a table, chair or stool for support so you don't have to bend as far. Thanks 4 all this but i'am obese so can I practice all these practises?? Kristen - thanks for reading and commenting. I'm glad yoga helped your back pain; it did the same for me! Great guide. I wish I found this last fall, when I started yoga classes at the gym and then hone practices. It's been about four months, since yoga helped me out with my back pain. Thanks for reading and taking the time to comment, Deborah! Mj - thanks for stopping by and commenting. I'm glad it's got you started on yoga! This is great. It has got me started on yoga and is simple. I just add it to my workout. Thanks so much for this. Thanks for reading Rebecca. Give it a try! These poses look quite relaxing. I have been thinking about practicing yoga. This is helpful! Thank you for your very kind comments, April. I agree that everyone could benefit from it. Acr 3. great hub. I bagged purple belt in Karate, where also I learned physical practices. In my experience we must do such practice to secure our health. any way your hub is very useful one to those who seek to learn Yoga. I love yoga and have thought for years that everyone could benefit from it. You present an accomplishable sequence for all ability levels. Thanks for promoting yoga in such an easy to understand, well-written fashion. Thanks Kim, I hope it works for your son. Thank you for this site. I have been researching for some yoga stretches that helps my 12 year old son to grow taller. This is well organized by you. Since it started off slowly , it's just nice cause he can be restless with too many poses at a go. erorantes - Thank you for your kind comments. I hope you decide to try yoga again! Mr. Chet Thomas. I like your article on practicing yoga at home. 30 days challanges. It is fascinating how you present the pictures and the words. Definitely, you are an expert in the yoga subject. Thank you for your time and good work. I tried a a few exercises in the past. Your hub makes understanding the instructions easier. meltawayyourfat - thanks for your comment! I look forward to seeing your future hubs! Good, I hope it helps with your yoga practice. Thanks seanpollardz! I really love Yoga. I know few of Yoga exercise, your hub added few more in my list. Going vegan for lent is a great idea. It would be easy enough, given the determination of course, to turn a 30 day yoga challenge into 40 days. Thanks for your comments, Sushma. Very comprehensive hub. I must think of doing a 40 day challenge. Right now I am doing a 40 day challenge by Going Vegan for Lent. Might do Yoga next 40 days. Thanks phildazz, hope the tips are of value! 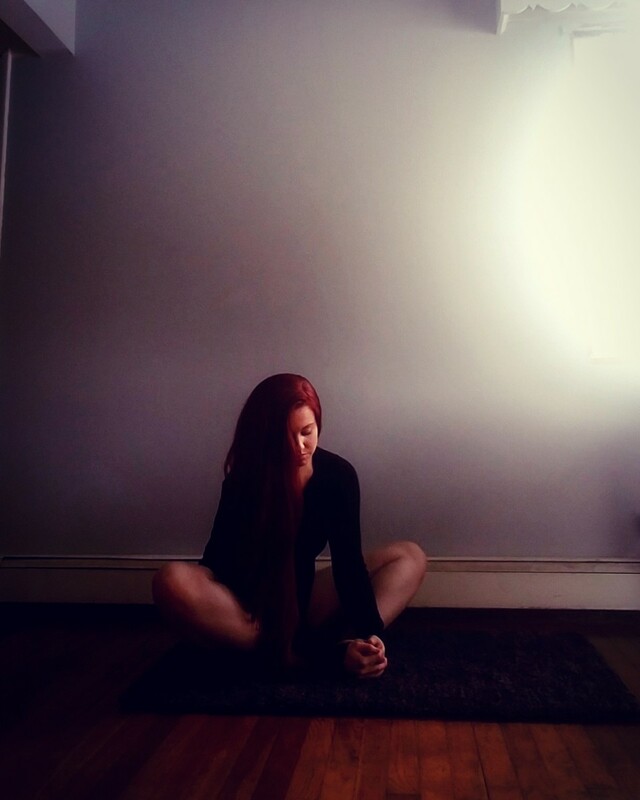 Great Hub, I love practicing yoga and you've added a few tips to my daily routine. Thank you, too bad I can't send you my virtual smile! Hi pstraubie48 - thanks for taking the time to read and comment. If you do get started, let me know how it goes! I have often looked at yoga as something I should try. I will give some of these a try beginning at the beginning as you suggest. Thanks Raymond. Yes, these are mostly basic poses that anyone can do. Thanks for sharing these yoga exercises. They seem very doable. Something for a 30 day challenge. Thanks for taking time to comment kerlund74. 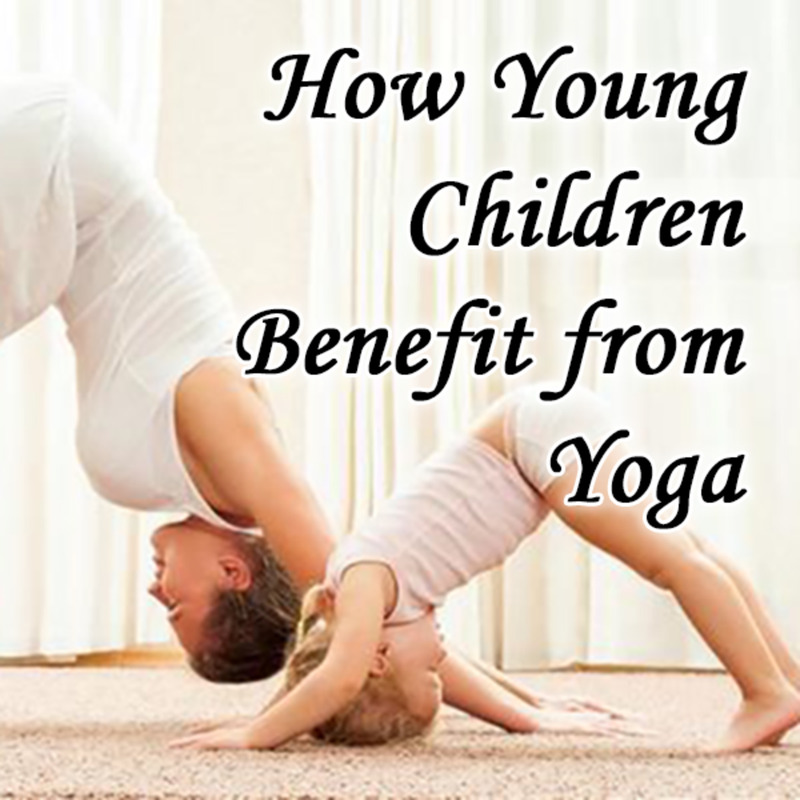 Yes, starting with just a couple of minutes is an easy way to begin practicing yoga at home. Give it a try! Before you know it, you'll be doing half and hour. Billybuc, thanks for taking the time to read and comment. If it gets you started again with yoga then it has served its purpose. Unrolling the mat and doing that first pose is the hardest part, kind of like writing the first sentence of an article! Excellent! Thank you for this and I think it will serve as the incentive I needed to start up again with yoga.